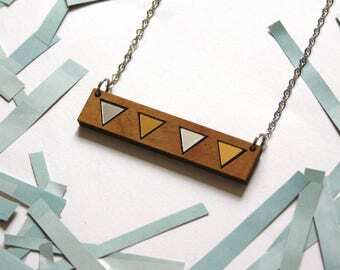 Geometric necklace in natural wood. Peter pan collar necklace inspiration. Graphic point lace pattern engraved. 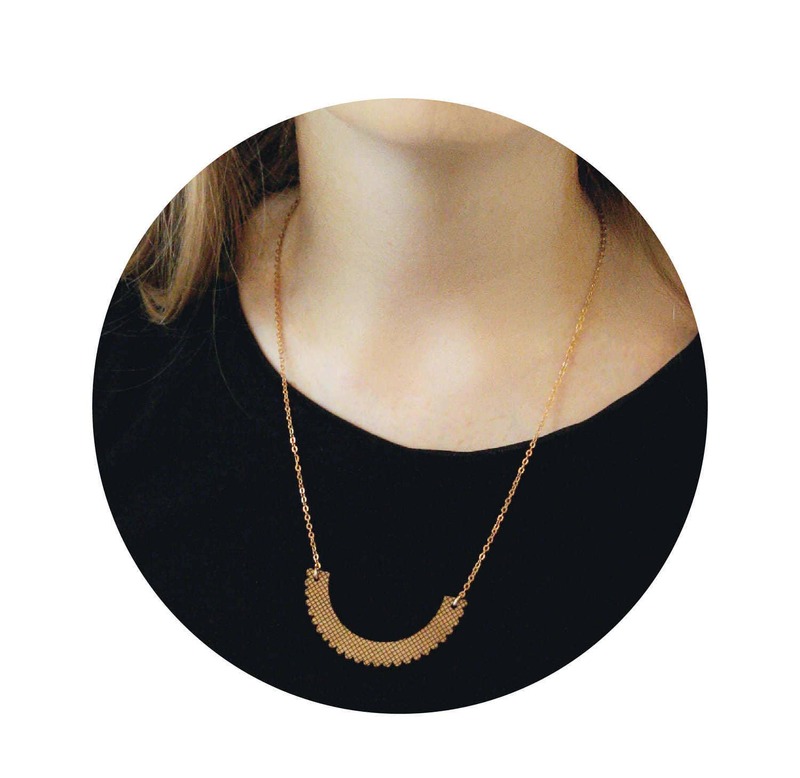 ▲▲▲ Wooden necklace laser cut and laser engraved, then assembled by hand. Necklace made in France. ▲▲▲ Boho jewelry. Bohemian style. Perfect for a unique and original gift for Women. 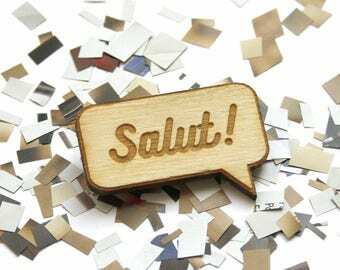 ▲▲▲ Type of wood: alder (natural wood). Brass chain, gold color : 21 cm each side (total = around 42 cm). Nickel free. Size of wood: 6 x 3 cm = 2,36 inches x 1,18 inches (around). ▲▲▲ Similar jewellery are available in my shop (geometric and graphic jewelry, all made in France). If you need informations, I'll be happy to answer to your questions.